1. Test your business model before taking significant risks. So often you hear the story of the entrepreneur who risks it all to start a business. The entrepreneur quits her job, takes a second mortgage on the house, and dives in head first. Sometimes these stories work out, but often they don’t. And if they don’t, the consequences can be catastrophic. When we started Tipsy Elves in 2011, we did it carefully. Nick and I both had full time jobs, and we kept these jobs until the business was at a point that I could safely quit my job. We self-funded the business in the first year and we made sure we were in a position that if things didn’t work out, we’d still be okay. This is one of Nick and my favorite sayings. It’s good to put the ego aside and realize there are many things you simply don’t know. It is all too often that Nick and I think we might know the right direction or the right answer to a problem, but it isn’t until after we talk to other people and do our diligence that we end up going a completely different direction. We always advise when you encounter a problem or are looking for an answer, to first research before taking action. Usually this research and diligence will send you on an entirely different course. 3. Partner with the right people. 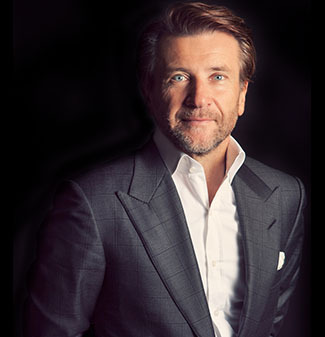 There are two core partnerships in our business – Nick and my partnership as co-founders, and our partnership with Robert Herjavec from ABC’s Shark Tank. I can’t stress the importance more of partnering with the right people. When we first started Tipsy Elves, I had the idea of selling Christmas sweaters online and reached out to Nick to see if he was interested in joining me on the venture. Nick had that perfect combination of sharp intuition and calm demeanor that I was looking for in a business partner. Our business relationship couldn’t be better, and we are grateful that we had the insight in 2011 to identify one another as someone we could both work well with for the long run. When we went on to ABC’s Shark Tank, we singled out Robert as one of the “Sharks” we were most interested in partnering with. While he had the connections and know-how to be able to help fuel our growth, what we liked most about Robert was his personality – he is a really nice, positive guy and takes a genuine passion in his investments. We sensed that Robert’s personality with mesh the best with ours, and this is what interested us most in partnering with him. The right partnerships can make all the difference for your business. The wrong partnerships can be unmotivating and a huge distraction for the business. 4. Avoid seasonality if at all possible. When we started Tipsy Elves, it was mostly a seasonal business selling primarily Christmas sweaters. In the last few years, we’ve become so much more and we now sell patriotic clothing, St. Patrick’s day shirts, ski suits and are rolling out summer and Halloween collections this year. We are now a fully year around business. We identified early on how challenging it is to be a seasonal business. Not only does it make projections and cash flows problematic (which in turn makes financing difficult), but it also makes it difficult to expand your team. We couldn’t justify hiring critical employees because we couldn’t keep them busy year around. We had to rely more heavily on freelance contractors, which can be difficult. If at all possible, we highly recommend starting a year around business or modifying your business so that it can support year around sales. 5. Hire people who can do things better than you can. It’s good to identify that you cannot do everything and that there are people out there with skill sets that you do not have. While we do our best to keep a lean operation, we tend to hire when there is a role that we are not servicing as well as a new employee would. The trick is identifying when to “let go” and give the responsibility to someone else. Sometimes this is difficult and it’s common for entrepreneurs to think no one will do a job as well as they can. It’s good to identify these mental hurdles and to realize this is not the case. If you don’t you will end up getting pulled in one hundred directions, not doing any one job well, and not giving focus to the areas that matter most. Nick and I always try to keep as much equity in the business as possible. While we have given up some minority equity positions over the years for strategic relationships, we have generally avoided VC financing where equity becomes quickly diluted. There are many entrepreneurs who have gone the VC route with their businesses, and while this can help propel growth, it comes at the cost of equity. Once you go down this road, you often need to go big or go home – if you don’t go “big” then the VCs will get paid first and what’s left for you might make you wish you would have grown organically and without VC funding to begin with. It’s good to approach VC financing with caution and to understand what the end goal is, as well as what a reasonable projection is for the business. 7. Identify business risks and diversify. Nick and I schedule a quarterly meeting where we discuss what we think our biggest business risks are at the time. For example, during Q1 of last year we discussed the importance of making sure we increase and diversify our suppliers so that if there is a production problem with one supplier, we have others that can help. After identifying this problem, we met with several new suppliers to minimize the risk of this happening. It’s important to always be mindful of the biggest risk factors that your business faces and take proactive measures to minimize these risks. If you don’t do this, a perfectly good business may be derailed by an unfortunate event. 8. Don’t underestimate the power of PR and TV exposure. We used to think that PR and big press hits were not worth the trouble. However, our experience with Shark Tank has proven that big TV exposure is invaluable. We also went on a press tour with Robert Herjavec a few years ago and within three days, we appeared on Rachael Ray, 20/20 and Good Morning America. Each of these spots resulted in big sales events for our business. To the extent your business has an interesting angle and you can pitch big media on your story, we feel it’s always worth it if it results in a story on a major TV show. 9. Know your core competencies. We always stress the importance of knowing our core competencies and never losing site of them. It’s easy to get distracted and forget to focus on the things that first made your business successful. For Tipsy Elves, our two core competencies are design and marketing, and we do our best to always keep those at the forefront of our day-to-day work. 10. There is no blueprint for starting a successful business. I went into my MBA program hoping to learn how to successfully start a business, but I didn’t. I realized the reason I never learned this is because there is no blue print on how to start a business. There are books, presentations and classes out there that might inspire you or give you little tid bits of information on what made other businesses successful, but that doesn’t mean those same things will make your business successful. I am most grateful for my MBA because it taught me that the only thing stopping me from starting a business was myself. No book or expensive seminar will train you on how to start a business. You just need to go for it and fill in the blanks as you go. The scariest part about starting a business is simply starting it. Evan Mendelsohn, a lawyer working for Sheppard, Mullin, Richter & Hampton with a JD and MBA from the University of Southern California, and Nick Morton, an endodontist who graduated from the University of the Pacific in 2008, founded Tipsy Elves in 2011. Tipsy Elves is a holiday-themed apparel company, which sells holiday sweaters and other holiday-themed items through its website and other online vendors, and donates part of each sale to charity. Since partnering with Robert Herjavec through Shark Tank, Tipsy Elves has been the best performing investment he has made since joining the cast of Shark Tank. Originally posted on SB Journal.